Blade height (at heel): 0.36 in. 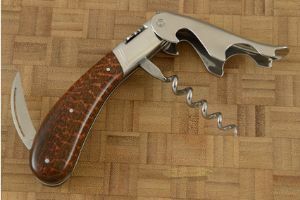 Description: After years of planning, a bold revision to the classic Laguiole corkscrew has finally reached fruition. 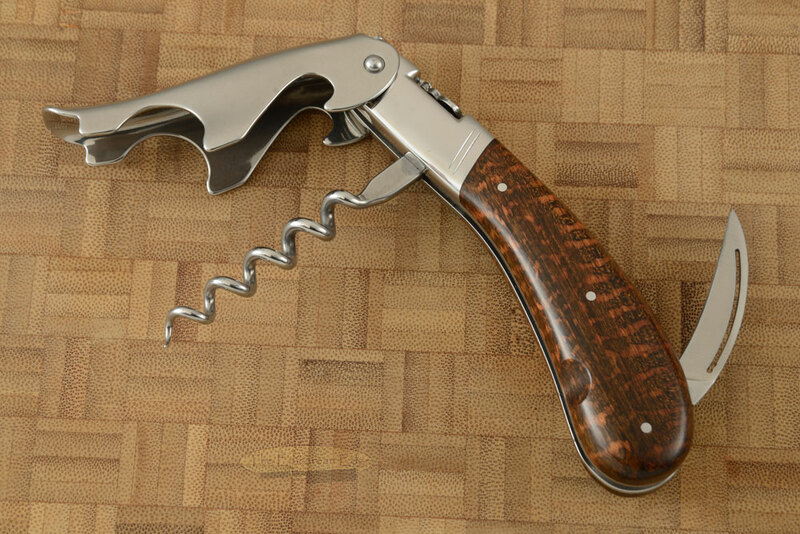 This long-awaited high-end Laguiole waiter's corkscrew features an ergonomic handle, a patented one-piece, two-step lever, a forged one-piece Z20C13 stainless-steel spring with hand filed bee, and a non-serrated foil cutter. 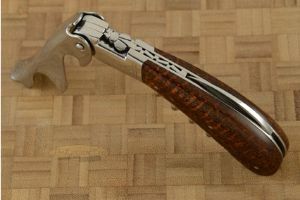 A truly exceptional corkscrew, skillfully crafted by French artisan knifemaker, Fontenille Pataud, the Laguiole Magnum is an exceptional corkscrew. 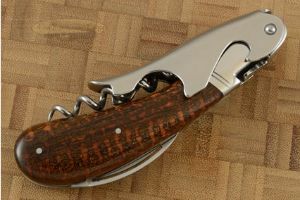 This Magnum has an ergonomic snakewood handle that fits comfortably in the palm and provides an improved grip when opening your wine. A two step lever is made from a solid section of Z20C13 stainless steel, for easy opening. The Laguiole Magnum Corkscrew is set apart from all others including non-Laguiole corkscrews by its size and ergonomics. At 6 oz it feels exceptionally good in any size hands -- male or female. This object of pure luxury is taking over the two-step corkscrew business.